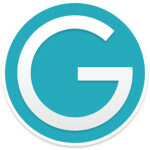 GingerSoftware.com is one of the free grammar checker software’s that is available in a desktop and a mobile version. It works on all of the major browsers and it is currently a favorite among both individuals and businesses. You can even test out the software right on their website by typing in your text and then having them correct it for you instantly. Some customers have even went as far as calling GingerSoftware.com the best grammar software that is available at this age in time. GingerSoftware.com comes along with a lot of features. However, some of their top features include, but are not limited to, only employing native English speakers so you can be sure that your spelling and grammar mistakes are being done accurately, corrections being made with one single click, and the ability for you to receive error free documents and emails. Ginger Software review shows that the tool can be used by anyone and this grammar checker software is currently used by individuals and businesses all over the world. To date none of the users have referred to them as being a Ginger Software scam or a Ginger Software fraud. GingerSoftware.com reviews can be found on various websites throughout the web. Various grammar software reviews speak about them in a positive nature and refer to them as being one of the trustworthy spelling check software. Spelling software reviews are also speaking highly of them so this is definitely one of the grammar check software’s online that can be trusted 100%. Is Using Ginger Software Legit? Ginger Software is 100% legit and safe to use. You can easily access it on your desktop and have your corrections made instantly by native English speakers. Based on the various reviews of GingerSoftware.com that can be found on the web you have no reason to feel as though GingerSoftware.com is not legit. Also, since the grammar checker software is free you do not have to worry about being scammed since no investment is required to use this online grammar checker. Check out GingerSoftware.com to improve your writing!